The Eider Yomba Light Jacket stands up to those long, cold, winter days more than your standard light puffy. 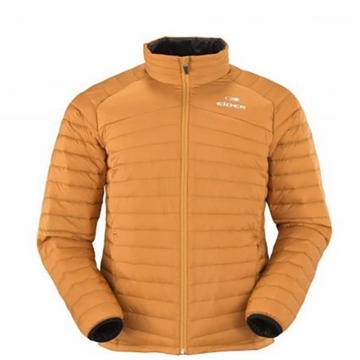 The Yomba Light provides the lightweight warmth you’d expect from a down jacket, but the buttery, wax-like finish on the Downproof Ultralight Ripstop is a refreshing update that performs double duty, keeping the down where it belongs while earning style points. mid layer warmth or everyday jacket, the Yomba Light will quickly turn into one of your most cherished pieces..